This in one of the Charter Tract Houses built by the New Plymouth Colony. There were two of these Tract Houses, built-in 1895, where the Baptist Church now stands. 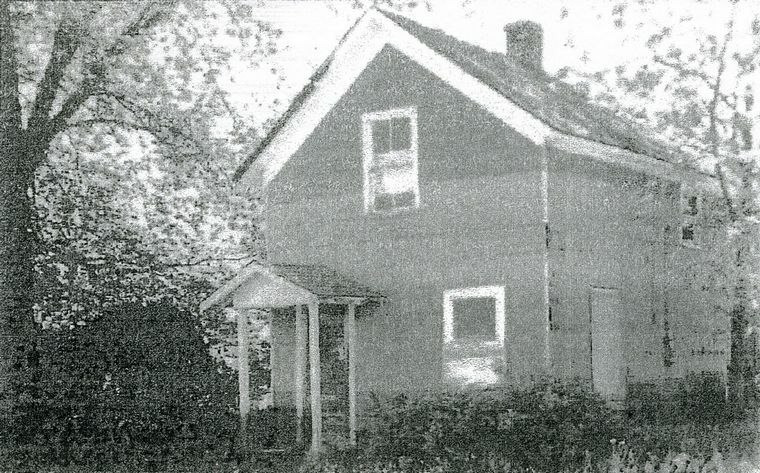 This one was moved to 309 W. Maple Street and has recently been destroyed. Ruth Peterson was the last occupant of this house. The other Charter House was purchased by Ira Mathews and moved out to his farm. Ref: Lilly Stuve Peterson and Pearl Roney – interviews with Fern Anderson.